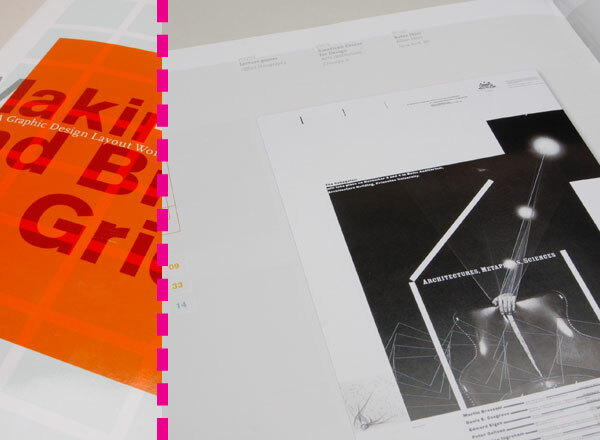 In two individual posters–one a call for entries to a design competition and the other a lecture-series announcement–the designer deploys a similar structure to organize the presented material. 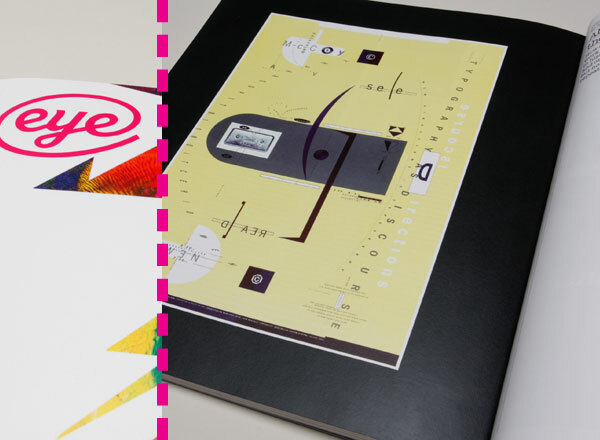 Both posters contain a centrally located rectangular area that acts as a grounding point. In the call for entries, that central area remains noticeably empty as information slides around its perimeter; in the lecture series poster, the rectangular area houses the most important conceptual information and image. In each case, a predominantly centered axis hints at a formal, symmetrical system, but the symmetry is sidestepped by diagrammatic or planar elements. 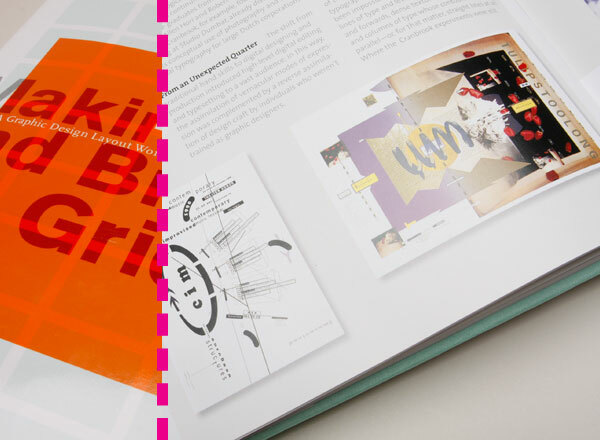 Remnants of column grids form informational sections in each poster, but are overlaid with linear elements, reduced to texture, or overlapped to create a more complex and detailed surface. 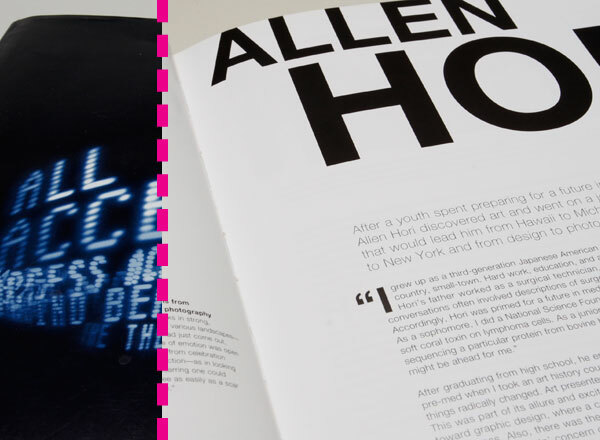 After a youth spent preparing for a future in medicine, Allen Hori discovered art and went on a journey of learning that would lead him from Hawaii to Michigan to Holland to New York and from design to photography and back again. But the initial excitement didn’t last. “I made it through to the last year of the design program and found myself with a kind of buyer’s remorse. The excitement and expressive potential I had initially latched onto were slowly being reduced the further I progressed in the primarily Swiss-based program. “Instead of finishing the final year of the design program, he switched his major to photography and finished his degree in 1987. “It took seven years to earn my BFA and realize that getting to the mainland–out of Hawaii–was essential and that continuing school was probably the only way I was going to find a larger landscape.” He continued with independent studies in photography at the University of Hawaii until 1987 and got a job to make ends meet. 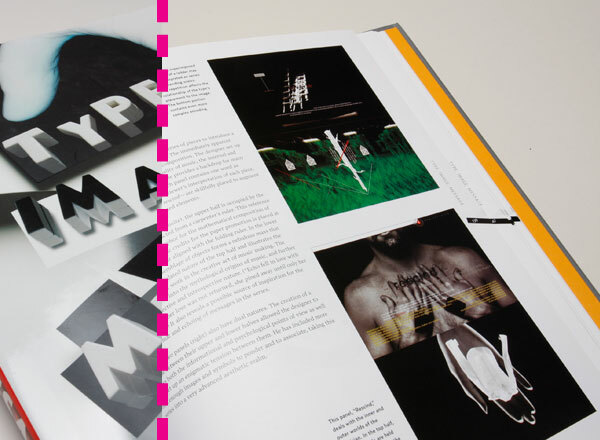 “I worked as a ‘camera lout’–operating a stat camera at a typography house called The Other Type. I moved up to paste-up and finally to designer. After three years of this, I applied to graduate school in graphic design, returning to the commercial and more-bankable-than-photography route.” To his delight, he was accepted into the program at the Cranbrook Academy of Art and moved to Bloomfield Hills, Michigan. We’re crowding around a small table in a classroom at the Kunstgewerbe Schule in Basel, Switzerland. It’s me, a bunch of design students from around the world, and Wolfgang Weingart. 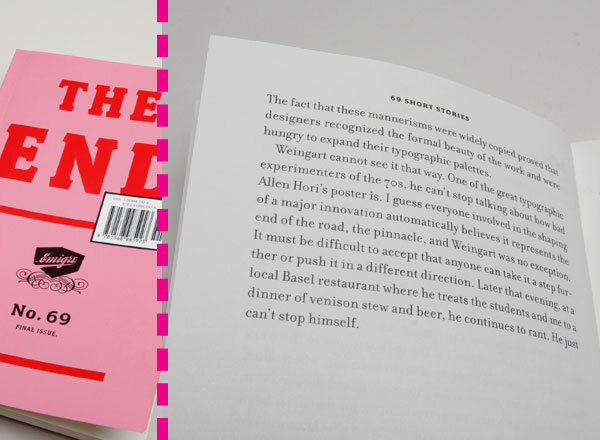 We’re discussing what Weingart calls the chaotic state of design today, and I believe he indicts me and my magazine as conspirators. 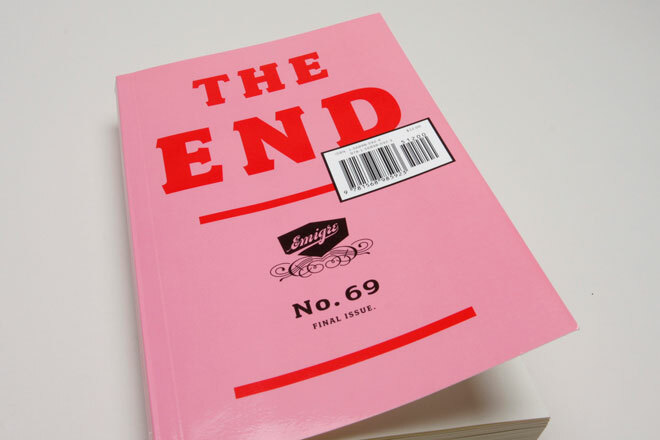 He advances upon a huge shelving unit, bursting with design books, and without hesitation whips out a poster. It’s Allen Hori’s poster for a lecture by Kathy McCoy at Cranbrook. Weingart is as serious as a nun twisting the ear of a naughty boy. “This,” he says, “is the absolute worst I’ve ever seen!” If a first shot started the so-called legibility wars, it was Allen Hori’s poster. 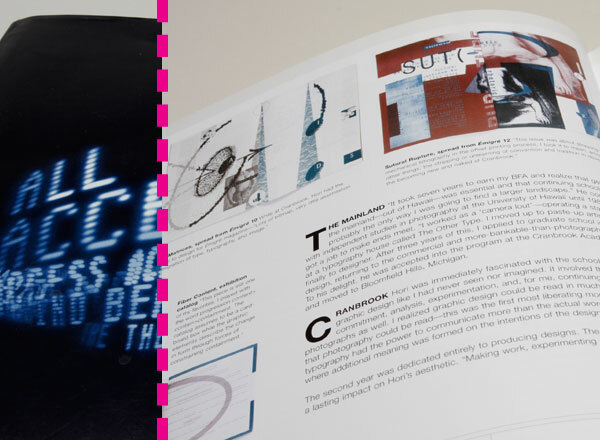 In my estimation, one can trace much of the experimental typographic expressionism during the early 90s to the work designed at Cranbrook Academy of Art in Michigan, where Allen Hori’s work was my personal favorite. 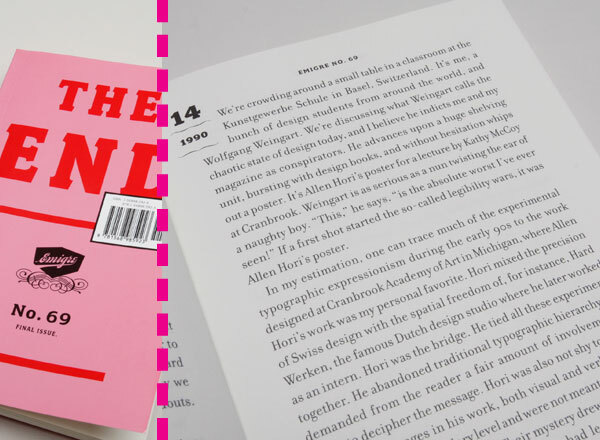 Hori mixed the precision of Swiss design with the spatial freedom of, for instance, Hard Werken, the famous Dutch design studio where he later worked as an intern. Hori was the bridge. He tied all these experiments together. He abandoned traditional typographic hierarchy and demanded from the reader a fair amount of involvement in order to decipher the message. Hori was also not shy to include personal messages in his work, both visual and verbal. These functioned on a secondary level and were not meant to be immediately obvious to the reader. Their mystery drew the reader in. Hori’s work defied what most of us learned in school about typography. 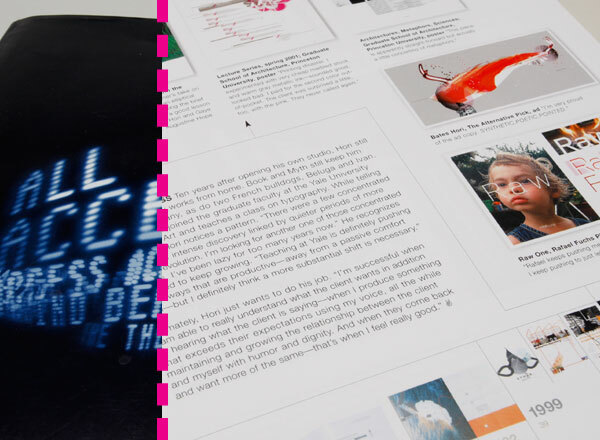 Typography was meant to aid the reader, not put the reader to work. But his posters were never a prescription for anything. They were posters that answered their brief fairly well. If a theory ever accompanied the work, it was to justify his particular design: it was descriptive, not prescriptive. 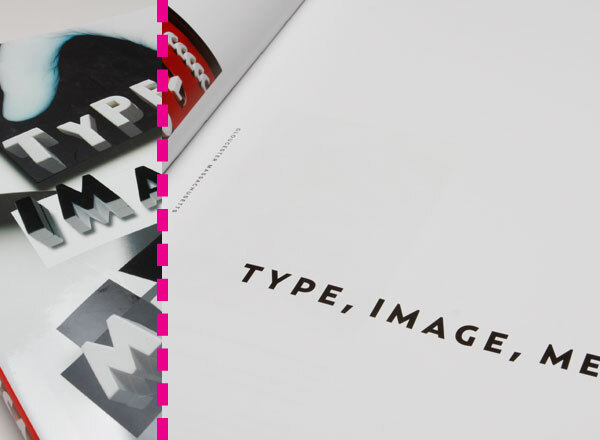 The fact that these mannerisms were widely copied proved that designers recognized the formal beauty of the work and were hungry to expand their typographic palettes. Weingart cannot see it that way. One of the great typographic experimenters of the 70s, he can’t stop talking about how bad Allen Hori’s poster is. I guess everyone involved in the shaping of a major innovation automatically believes it represents the end of the road, the pinnacle, and Weingart was no exception. It must be difficult to accept that anyone can take it a step further or push it in a different direction. Later that evening, at a local Basel restaurant where he treats the students and me to a dinner of venison stew and beer, he continues to rant. He just can’t stop himself. Allen Hori chose music as the theme for a series of pieces to introduce a new line of paper for Potlatch Corporation. The immediately apparent unifying element is the evenly divided composition. 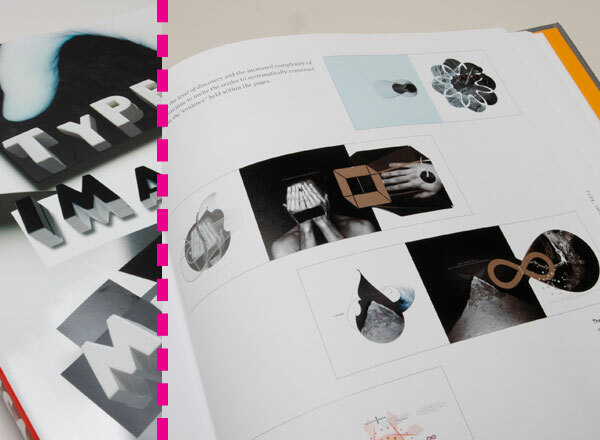 The designer set up this format in order to “express the duality of music, the internal and external aspects of sound.” The structure provides a backdrop for many complex type/image relationships. Each panel contains one word as part of the system that initiates the viewer’s interpretation of each piece. These words–repose, reverie, and rescind–are skillfully placed to augment the meaning of the many fragmented elements. In the first panel, “Repose,” the upper half is occupied by the rendition of a house constructed from a carpenter’s ruler. This reference to a built structure is a metaphor for the mathematical composition of music. The text that lists the credits for the paper promotion is placed at intervals that are somewhat aligned with the folding ruler. In the lower half of the piece, an assemblage of objects forms a nebulous mass that contrasts with the calculated nature of the top half and illustrates the unpredictable forces at work in the creative act of music making. The text leads the viewer into the mythological origins of music, and further into music’s subjective and introspective nature. (“Echo fell in love with Narcissus. When her love was not returned, she pined away until only her voice remained.”) It also reveals a possible source of inspiration for the mirrored format and echoing of messages in the series. The other two panels also have dual natures. The creation of a dialogue between their upper and lower halves allowed the designer to express both the informational and psychological points of view as well as to set up an enigmatic tension between them. He has included more than enough images and symbols to ponder and to associate, taking this series into a very advanced aesthetic realm. 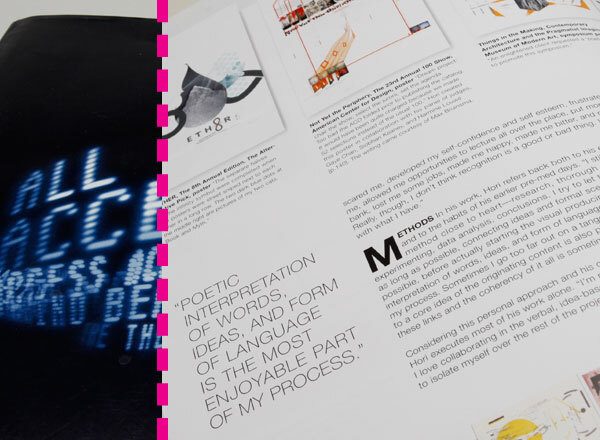 For the Eigth Annual Edition of The Alternative Pick, a directory of creative professionals, Allen Hori developed a graphic language that requires a great deal of decoding in order to identify and appreciate all the embedded information. Here fragmentation operates on both a visual and symbolic level. Signs are intermixed and can be decoded individually or assembled to construct additional meanings. It is as if Hori has developed his own grammar from which he assembles a metalanguage of words, pictures and symbols. Designed to be displayed in multiples and linked horizontally to form a sequence of infinity symbols, the poster sets up the viewer’s initial encounter with Hori’s cryptic language. 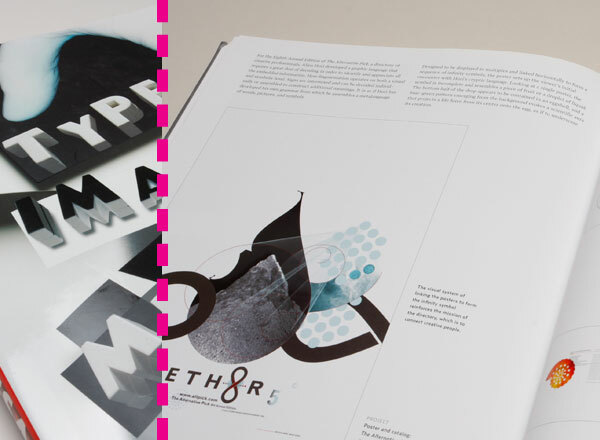 Looking at a single poster, the symbol is incomplete and resembles a piece of fruit or a droplet of liquid. The bottom half of the drop appears to be contained in an eggshell, and a blue-green pattern emerging from the background evokes a scientific aura that projects a life force from its center onto the egg, as if to underscore its creation. 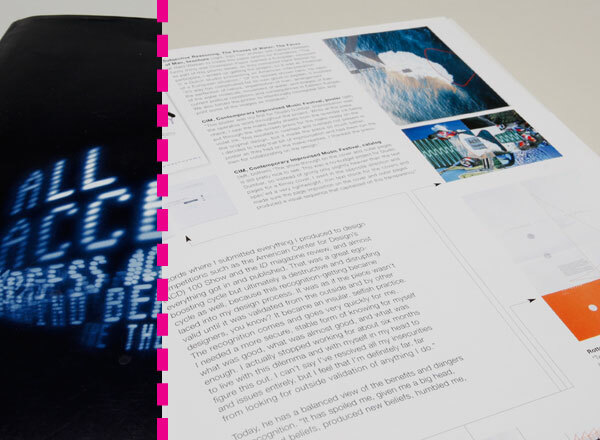 Inside the catalog, the level of discovery and the increased complexity of images and text continue to invite the reader to systematically construct meaning based on the “evidence” held within the pages. 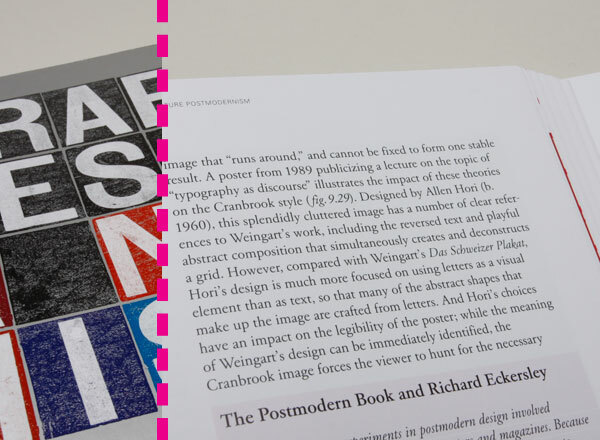 Weingart also had a significant impact on the work of students at the Cranbrook Academy of Art in Michigan, one of the first schools to embrace the postmodern movement wholeheartedly. 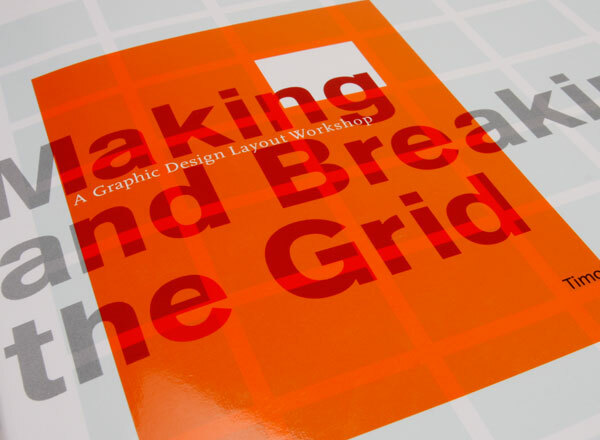 Even to this day, many graphic design programs in American universities feature curricula that are more focused on the International Style and its aura of professionalism than on the more progressive, eclectic postmodern work of the last three decades. However, Katherine McCoy (b. 1945), co-chair of the graphic design program at Cranbrook, had a more daring outlook than most academics, and invited her students to explore new trends. Weingart lectured often at Cranbrook during the 1970s. It is essential to note how the modern International Style can be distinguished from the postmodern style by the amount of expression permitted on the artist’s part. Staunch modernists usually suppress any quirky or whimsical element in their designs, while postmodernists welcome idiosyncratic displays of personal style like those present in the work of Cranbrook designers such as Ed Fella (b. 1938). At Cranbrook, McCoy espoused the idea that the reading of text and the viewing of image should not be conceived of as discrete practices. Rather, reading and viewing ovelap and interact synergistically in order to create a holistic effect that features both modes of interpretation. 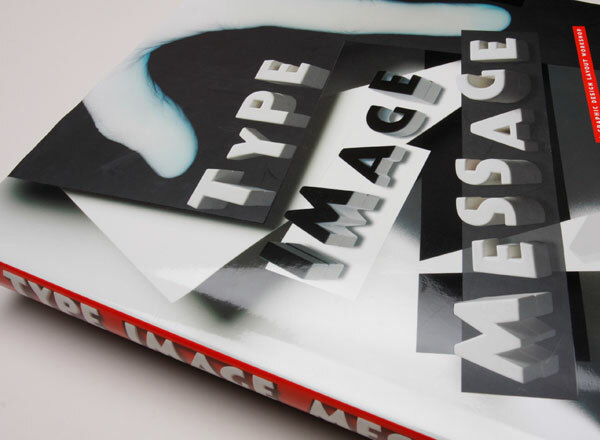 McCoy called this theory “typography as discourse,” the term “discourse” connoting the idea that the meaning of a work is part of a conversation between text and image that “runs around,” and cannot be fixed to form one stable result. 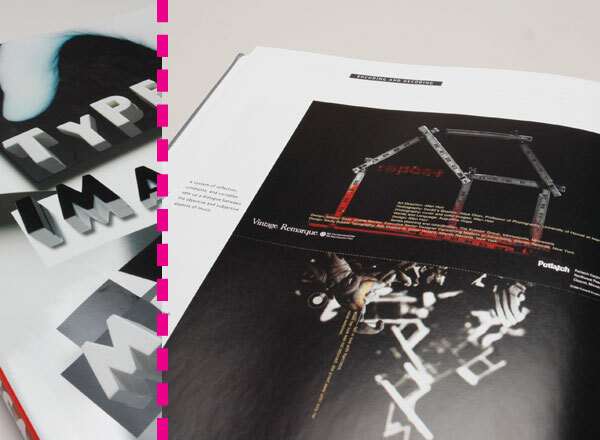 A poster from 1989 publicizing a lecture on the topic of “typography as discourse” illustrates the impact of these theories on the Cranbrook style (fig. 9.29). Designed by Allen Hori (b. 10960), this splendidly cluttered image has a number of clear references to Weingart’s work, including the reversed text and playful abstract composition that simultaneously creates and deconstructs a grid. However, compared with Weingart’s Das Schweizer Plakat, Hori’s design is much more focused on using letters as a visual element than as text, so that many of the abstract shapes that make up the image are crafted from letters. And Hori’s choices have an impact on the legibility of the poster; while the meaning of Weingart’s design can be immediately identified, the Cranbrook image forces the viewer to hunt for the necessary information in an effect close to that of the psychedelic style. Hori’s aesthetic is also relatable to the concrete poetry that Guillaume Apollinaire produced in the 1910s (see Chapter 4), except that the poet used letters to create shapes that had a direct tie to the content of the text, while Hori turned loose his letters to create unrelated forms. 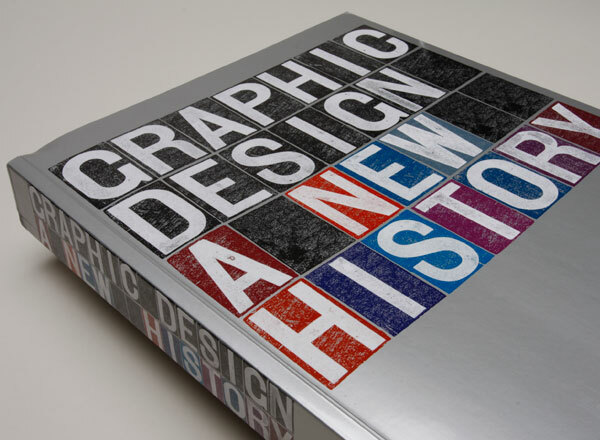 How does a graphic work claim its place in history? Notoreity and originality helps, but nothing beats repeated publication. Canonical designers are easy enough to identify. The situation with canonical designs is more complicated. 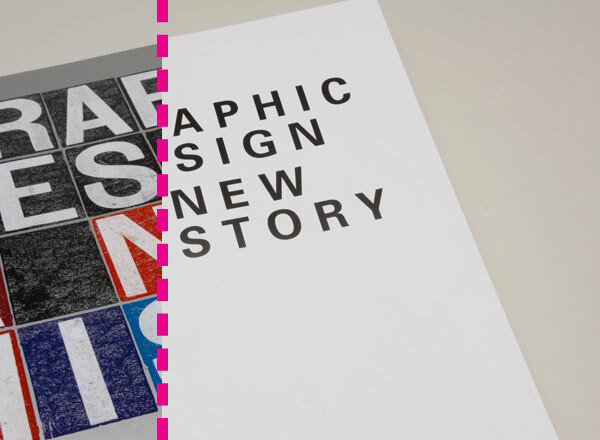 Graphic designers create millions of new designs every year. 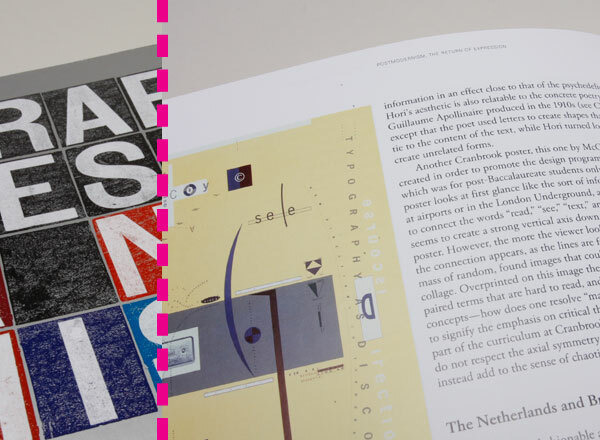 How do a tiny percentage of these pieces, which most viewers will never hold in their hands, come to be regarded as crucial works, designs of influence that deserve a lasting place in the narrative of graphic design? Reproduction alone is not enough. 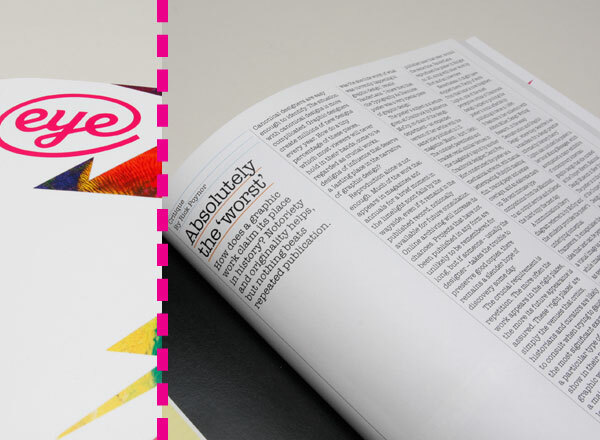 Much of the work that appears in magazines and annuals for a brief moment in the limelight soon falls by the wayside, even if it remains in the published record, notionally available for future consultation. 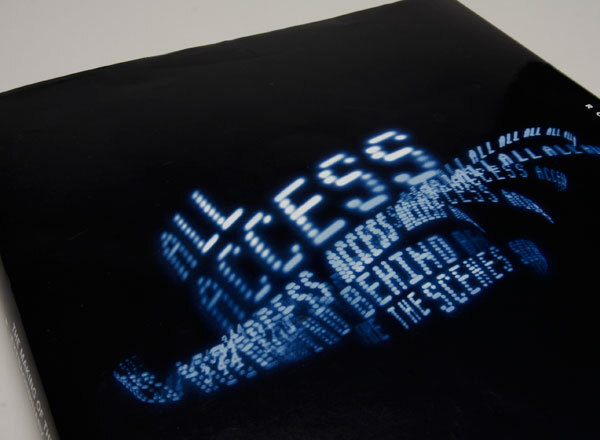 Online archiving will increase its chances. 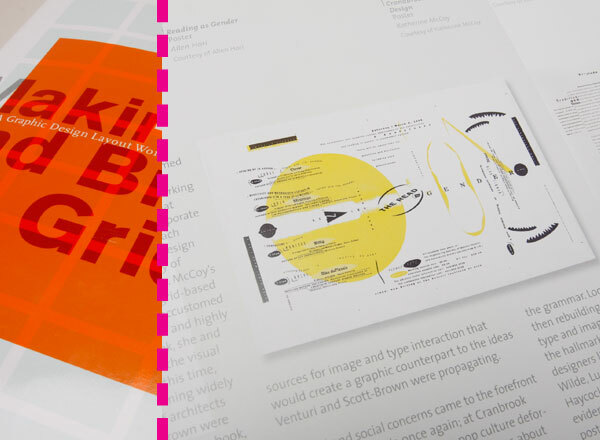 Projects that have not been published in any form are unlikely to be remembered for long, but if someone–usually the designer–takes the trouble to preserve good copies, there remains a slender hope of discovery some day. 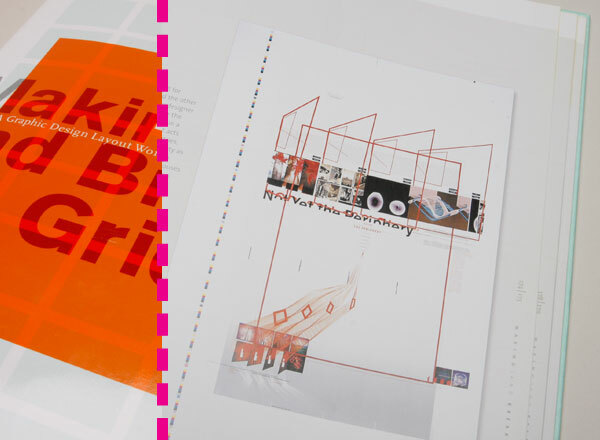 The poster’s subject is a lecture given at Cranbrook by Katherine McCoy, co-chair of the design department–an expanded version of her article with the same title published in I.D. magazine (March / April 1988). 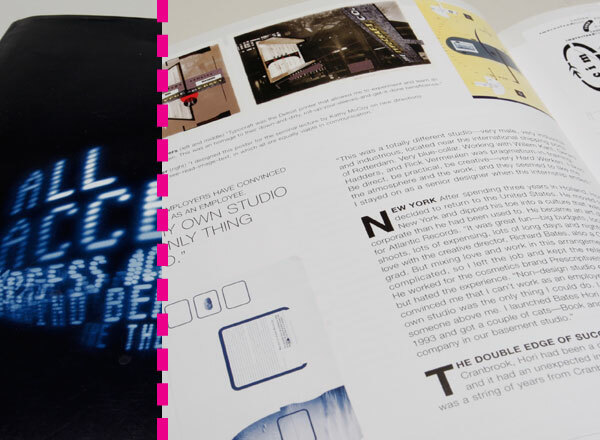 The outsized parenthesis and bracket, recall similar devices in the magazine’s layout by another Cranbrook designer, David Frej. Hori constructed the poster as a mechanical artwork, with manual letterspacing, Rubylith masking film, tracing paper and acetate overlays, and an elaborate markup. 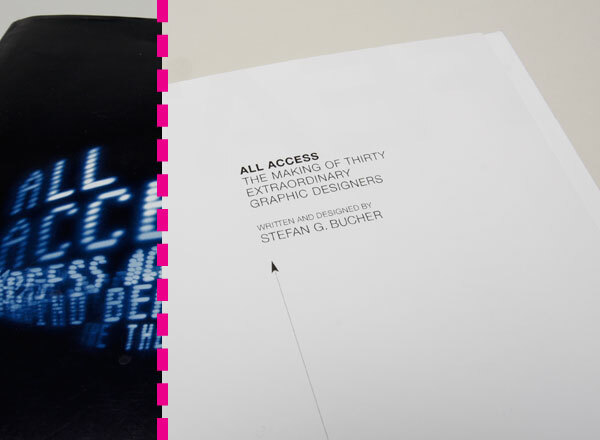 He sent intricate type compositions from the Macintosh to an output service and collected the hard copy the next day. A communications theory diagram referred to by McCoy and the students provides the poster’s underlying conceptual framework. 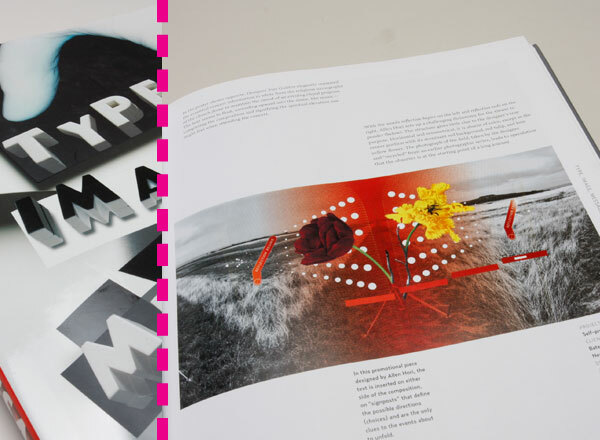 It encapsulates the idea that text can be perceived as a visual image as well as read, while images can be read as well as seen. 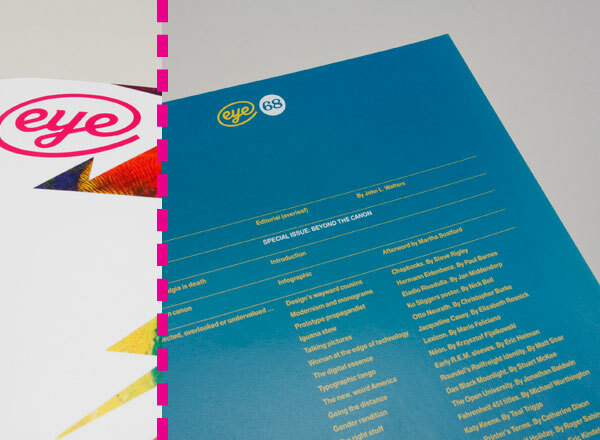 If visual communication is intuitive, holistic and simultaneous, then verbal communication is traditionally regarded as rational, linear and sequential–all keywords that appear in the poster. The scattered nodes of information, linked by meandering typographic pathways, challenge the usual seeing / reading distinction by encouraging exploration, which can begin anywhere and proceed in any direction. Hori refined the design over several nights and he recalls how McCoy would leave Post-it notes for him in the morning with questions and comments. 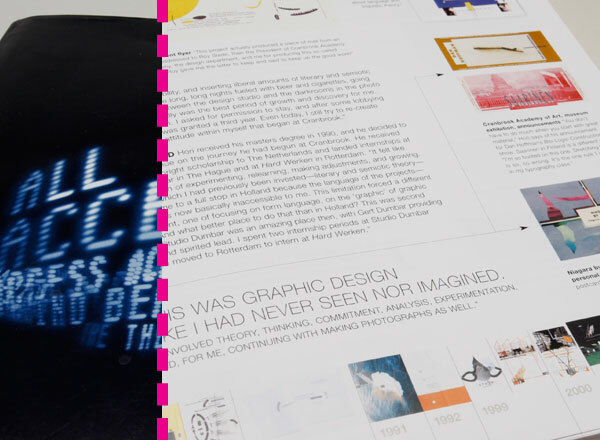 There was also discussion in the studio about the way his design interpreted the familiar diagram. Nevertheless, it might have stopped there. Plenty of work from that time is now forgotten. 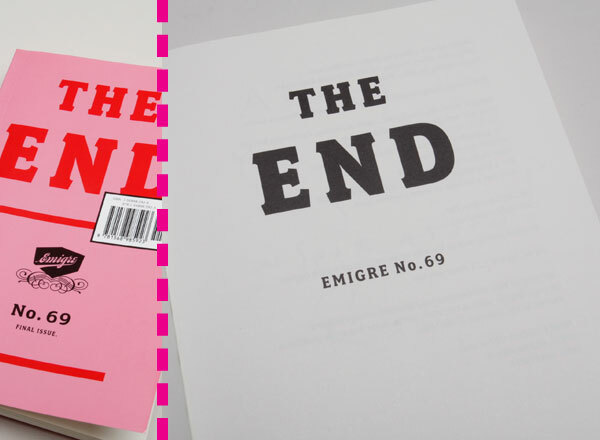 Lupton, one of the most preceptive critics of Cranbrook, helped to prolong the poster’s iconic afterlife by publishing it twice in 1996. 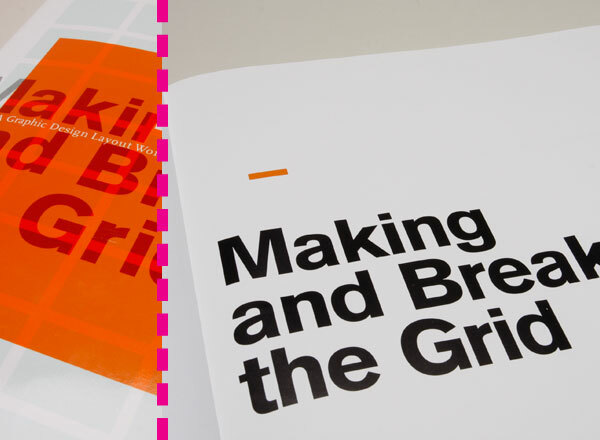 It features in her collection with Abbott Miller, Design Writing Research, in the essay ‘Deconstruction and Graphic Design’, where they describe it as ‘a manifesto for a design practice informed by literary theory.’ Lupton also included the poster in her book Mixing Messages, which accompanied a major exhibition of contemporary American graphic design that she curated at the Cooper-Hewitt, National Design Museum in New York. 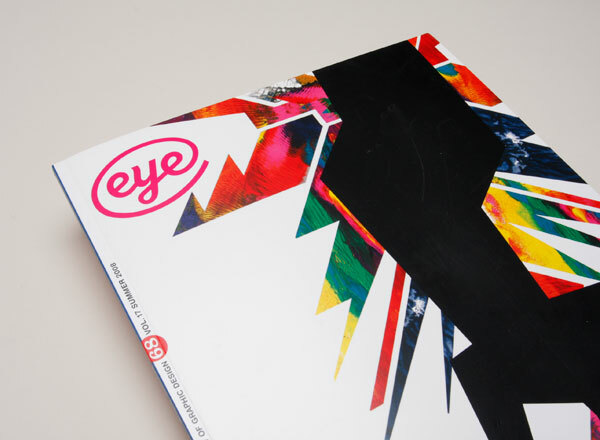 The poster is in the collections of the Cooper-Hewitt, the AIGA Design Archives and Cranbrook Art Museum. Only a few copies survive. This is an astute observation. 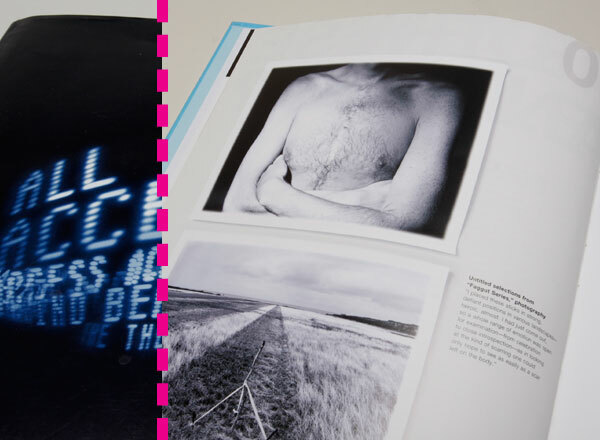 Although detractors professed to see only disorder and confusion in Cranbrook’s output, Hori’s poster is an entirely self-aware, delicately controlled visual essay, which makes its case with great typographic precision. Current typographic taste doesn’t much care for the complexities of this kind of work. It is a measure of the poster’s originality, and the way it still radiates the heat of the moment, that it lives on regardless. © 2009 Bates Hori. Website development by BuzaMoto.